I hope everyone’s having a lovely summer! I’m still behind on my blogging, but have been reading some good books. Here are two, both on my 20 10 Books of Summer list (hosted by Cathy @ 746Books). If you’re as big of an Anne-fan as I am, then you can probably imagine the hesitation I felt going into this book; is it going to live up to Anne-standards, LMMontgomery-expectations? Well, for me, it did. I found it both Anne-like and LMM-worthy. 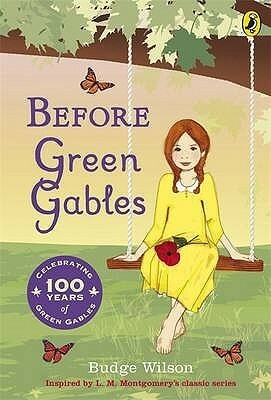 Before Anne came to Prince Edward Island to live at Green Gables, she lived in an orphanage in Hopetown, Nova Scotia. And before that, she lived with the Hammonds and the Thomas’. Before that, she was born to Walter and Bertha Shirley in their little yellow house in Bolingbroke, NS. We know all this from LMM’s Anne of Green Gables. But Budge Wilson imagines it all out for us; who are all these people who were in Anne’s life, and how does Anne become the girl we have all come to know and love? I had a lot of fun getting to know Anne’s parents. They are as smart and kind as Anne always imagined/hoped they would be. But, she is only with them for 3 months before being whisked on to the Thomas’, where Mr. Thomas drinks too much and Mrs. Thomas has 4 boys in a row. Anne is expected to help take care of the children as well as help to cook and clean the house. There’s no time for adventures, but her daydreams keep her imagination alive through all the drudgery. The Hammonds are not as awful as I thought they would be (based on what I know of them from the 1985 CBC movie). But there is still too much work and responsibility for a young girl. Three sets of twins in a row? No wonder Mrs. Hammond walked around in a daze. One of the only complaints I have about the book is that I want to know what happened to all the characters she had to leave behind. Many of them had hard lives, but Anne managed to find hope and love in small, dark places. There are some reviewers on Goodreads who would argue that this book isn’t historically accurate or true to the spirit of Anne. It’s interesting to read all their points, but I couldn’t help but feel like some of them were just looking for reasons to criticize the book. 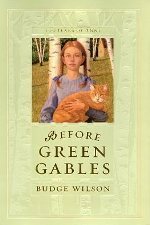 I say go into it with an open mind about Anne, rather than a rigid expectation of her, and you will sink into Budge Wilson’s world of “Before Green Gables“, and discover Anne’s limitless longing and capacity for love. Harbour View is also set in Nova Scotia, albeit about 100 years later than Before Green Gables. It is made up of interconnected stories about some of the residents and staff members of a senior’s home on Halifax Harbour. This book is based on the idea that everyone has a story, and that even the most seemingly ordinary life can be extraordinary to read about. The staff interact with the clients everyday, but they don’t really know them. The clients have their favourite and least favourite staff members, but what are the stories behind their polite talk, their forced joviality, or their gruff practicalities? Buddy is turning 109, but it’s not all it’s cracked up to be when you’ve outlived all your children. Buddy knows it is winter, and he enjoys the irony of the sun’s warmth through his window. The harbour might well be filled with warships moored and awaiting designation, ferries zig-zagging between and around them, bringing cars and their drivers from one shore to the other. But he knows this is no longer so; he knows a bridge spans the near-empty harbour, bearing cars from Dartmouth to Halifax. A few containers and tugs will make their way through the harbour, and maybe some sailboats, even at this time of year. Buddy knows it all, but he prefers to remember things otherwise, For this his blindness is a blessing. Dahlia reminisces about her past as she puts up with the indignities of being old. Can’t even see her own feet! Her rounded belly and purple-veined legs, encased as they are in elasticized trousers are now her enemies, conspirators in pain and clumsiness. There was a time when they glided her around on the ice until her nose was frostbitten and her toes numb with cold. Dahlia can practically taste the hardboiled eggs, two in each pocket, supplied by her mother on skating days. Up at first light, Dahlia was off with her skates, sailing over the frozen Dartmouth Lakes until dusk. There was nothing better than a golden egg yolk on an empty stomach, washed down with a mitt-full of snow. Muriel reminds us that everyone is just looking for a bit of kindness. She marvels at the lemons. There is an orderliness about them that brings with it the surprise of tears, that too-familiar burn beneath the eyelids she wishes she could control. But they are perfection, sunshine orbs grown in Spain and stacked here in the produce section on a rainy day in Halifax. Of course she must cry. Violet takes in her surroundings as she tries to enjoy any small pleasures she has left in life. At the next table, old ladies in drab cardigans and gaudy lipstick compare dull notes on children, grandchildren, tonight’s supper of boiled chicken and peas. Violet sighs and reaches for the pepper. Nothing here is beautiful, not even the food. For a moment she thinks of tomorrow’s bath. She closes her eyes and imagines the warmth, the fragrance of bath oil, the tingling of her scalp as strong fingers massage shampoo into what remains of her hair. Violet’s life has been reduced to so few pleasures; her weekly bath has become a regular high point. Myrna is grieving her house and the life she had made in it. In the end, what do our lives come down to? But she is a good, kind mother to her son, and maybe kindness and acceptance is all we can hope to pass on. How Myrna misses her kitchen with the sunlight streaming through the lace curtains. the red-and-white linoleum tiled floor, her apron hanging from a nail by the door and everything in its place. There was always something bubbling on the stove, a cake to be pulled from the oven, flowers to admire in the garden while she stood at the sink, gazing out the window while washing up. She misses the satisfaction of having cleaned and tidied the house, readying for Frank’s return from the high school, where he taught, and in later years, the freedom of moving quietly about the place, stopping in the rooms of her choosing so she might enjoy fond memories. She knows they assume things about her, these old people who know no better than what their parents told them, nearly a hundred years ago… She lets them assume. There was a time when she hated them for it, but now she hides behind their fears and assumptions. Her job at the nursing home, awful though it can be, provides her with what she needs to help her daughter along. This she reminds herself during the times when she despairs of assisting on one more bath, of wiping one more elderly, white behind. What will your story be someday? The only complaint I have about this book is that I wish it had been longer. Lucky for me, Binnie Brennan has two other books out that I haven’t read yet! I’m so glad you enjoyed both of these! If you love interconnected stories and stories from the perspective of the elderly, then you’ll like this. I hope you get to read it! I love the sound of Harbour View. It’s such an obvious premise for fiction – all those stories to tell – but I’ve not come across anything like this set in a care home before. It sounds wonderful! It really is wonderful. I would have been happy if it was longer. 🙂 And, really, an ingenious setting – ripe with potential! Oh…Before Green Gables. I don’t know about that! I’m glad that it lived up to expectations you had and that it seemed to honour both Anne and LMM but you know how I feel about these! I never expected there to be an Anne prequel! Harbour View sounds way more promising to me! I like those kinds of interconnected stories. When done right (and this one sounds like it is) they are so good! Glad you’ve added Harbour View! It’s a gem. Harbour View sounds lovely but very sad. I am glad you’re making your way through your 10 books of summer! I’m halfway through my own list of 10. I’m glad to hear that you like the cover. Before I read the book I wondered why it had a violin/fiddle on it, but now I know that it’s connected to the first story in the book. My daughter and I love ‘Anne of Green Gables’ and were still working our way through the series. When we’ve exhausted those we’ll have to give ‘Before Green Gables’ a try. I’d have been anxious about it as we’re such Anne fans, but your review has convinced me that it won’t be disappointing. Perhaps after Anne you and your daughter, depending on her age, would like Rebecca by Daphne du Maurier. I was surprised when I read the book by how much the narrator gets lost in her imagination. I was so pleased as I read Rebecca that I would be reading the Anne series soon after, for I was ready to be immersed in imagination! That probably goes for a lot of us. Even better, I say! Bet you have a lot of stories, and they are all Canadian. I suspect one of these days you will wake up one morning and realize you have a great story to tell. Then there will be no stopping you. At the end of the book, the author explains that she wanted to attempt to puzzle out how Anne managed to become who she was after such a grim start to life. And, I think that’s also what drew me to read the book. I hope you’re enjoying Anne!! That is a good point, because I DO have questions about her personality! There will be more, and there are different ones on the GTL Facebook page. I’m so happy you’re traveling and enjoying the summer, Naomi! I always miss your presence when you’re gone, but know you are enjoying yourself. You’ll be disappointed to hear that I’ve never read any of these books, though they do sound delightful. You and Melanie actually brought them to my attention fully ever since you both planned to read the books this summer. Before, I was only vaguely aware of them and I think I’d heard of the movie in general. It’s not the type of book I was ever drawn to, given that I devoured mostly sci-fi/fantasy/dystopian books as a kid and teen. haha. I’m not surprised (or disappointed) – I might be more surprised if you were from around here! My own daughter, actually, has only read the first two and told me she thought they were boring. She also prefers sci-fi/fantasy. She’s been branching out more lately, though, so I still have hope that she’ll eventually read them. Reading them as an adult turned out to be just as enjoyable! I’ve been enjoying your journey through the Anne of Green Gables books as it’s interesting to follow the developments. I read a few of them in my youth but not the whole series. You are brave to read Before Green Gables. I’m glad it lived up to your expectations. I am embarrassed to confess that I’ve never read Anne of the Green Gables! I should start with that. 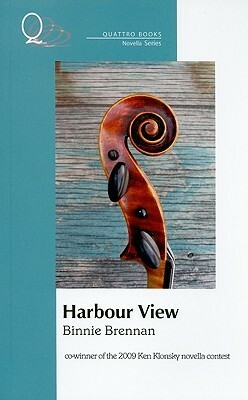 Harbour View sounds wonderful! Several lines from your post really resonated with me, including the line about outliving your children. I remember meeting my husband’s late grandfather, who was 96 at the time and still strong and fit. Everyone admired him for his health and longevity but he said something similar – what is the point when you’ve outlived your spouse, all your friends…three years later he lost his dog and he died shortly after 😦 I like how you review stories of the elderly. I’ve been thinking about their lives more recently after having to care for my mother. Yes, someday you should read Anne of Green Gables! It’s comforting and refreshing in these days of endlessly depressing news. Wow. 99. He did well. Everyone admires and strives to be long-lived, but maybe it’s not really as great as we think (even beyond the health problems). Definitely: I can still hear Mrs. Hammond’s shrill screech in my mind, having watched the CBC films almost as many times as I reread the books when I was a kid! This story was much more enjoyable for me than I expected, and I was glad to have Budge Wilson’s idea of pre-Anne to add to LMM’s “proper” stories. One of my favourite novels about an older woman is Elizabeth Moon’s Remnant Population, which is actually a sci-fi story about an older woman who determines to stay behind when the rest of a settlement on another planet chooses to move on. It takes on all sorts of issues which are interesting (e.g. “other”ness and compassion, prejudice and cooperation) but also showcases the strength and resilience of a character one expects to be inactive and retiring. I’ve reread it twice and it still holds up! Another one I’ve never heard of, and the basic premise reminds me of Sweetland! It’s on the list! Yes, I can still picture Mrs. Hammond perfectly – sitting at the table crying while her friend rubs her shoulders and hypnotically tells her what to do with Anne. Mrs. Hammond in the book seemed much less scary. 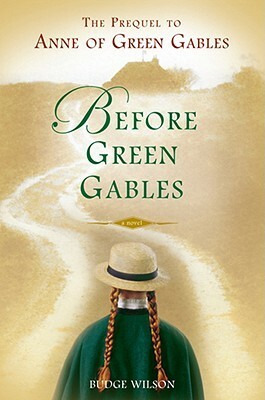 I need to read Before Green Gables! I LOVE Anne, and this sounds fabulous. Oh good, a brave soul. I hope you give it a try – I thought it was a wonderful look into Anne’s early life! Let me know if you read it!